Saltbox Harvest has just been added to our pre-order section, it is due to ship July/August. 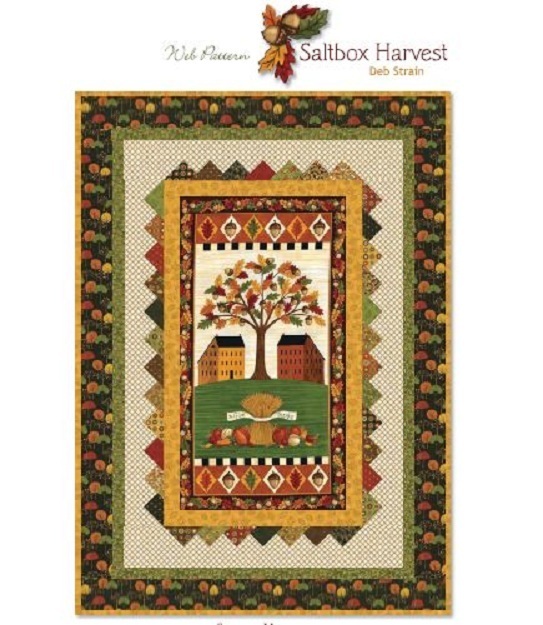 A free pattern will be available to down load for this Saltbox Harvest Quilt at a later time. We will also have kits and the complete fabric line available just in time to complete this 46″ x 64 1/2″quilt for your fall decorating. This entry was posted on Saturday, April 17th, 2010 at 2:49 pm and is filed under Uncategorized. You can follow any responses to this entry through the RSS 2.0 feed. You can leave a response, or trackback from your own site.